By Marc Blackman, CEO Gold Eagle Co. In early October, Gold Eagle Co. participated in the 2018 Manufacturing Day presented by the National Association of Manufacturers and the Manufacturing Institute as part of Manufacturing Month in the State of Illinois. A group of students from the City Colleges of Chicago Richard J. Daley College Department of Advanced Manufacturing visited Gold Eagle for plant tours and the chance to meet manufacturing professionals from across a wide range of disciplines who work for Gold Eagle Co., an 86 year-old privately held manufacturer of specialty chemicals and premium solutions for consumer and industrial applications. 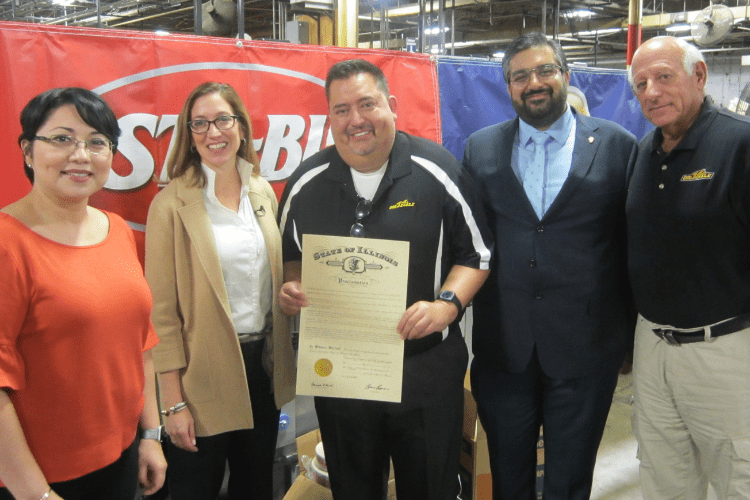 Manufacturing Day was highlighted by the Illinois Department of Commerce & Economic Opportunity recognizing Gold Eagle for participating in Manufacturing Day, part of Manufacturing Month, as proclaimed by the Illinois Department of Commerce & Economic Opportunity. The Illinois State Trade Promotion (ISTEP) Office of Trade & Investment joined with representatives of the National Association of Manufacturers to recognize Gold Eagle’s commitment to manufacturing excellence. The Proclamation noted Gold Eagle’s commitment to manufacturing in Illinois which has been the bedrock of the state’s economy for nearly two centuries, that nearly 19,544 manufacturing firms call Illinois home and provide employment for 578,187 workers and that modern advanced manufacturing provides competitive benefits to every employee including healthcare and retirement plans thereby making manufacturing a worthwhile career choice for all Illinoisans. The State also declared that Manufacturing Month in Illinois will expand knowledge about and improve general public perception of manufacturing careers and manufacturing’s value to the Illinois economy and that all school districts, community colleges and manufacturers in Illinois invest time and resources to celebrate the contributions manufacturers make to the fabric of our state. Manufacturing Month events will be held throughout October in Illinois. Events will showcase some of the nearly 13,000 manufacturing firms that call Illinois home. October is a time to highlight the benefits of working in the industry and continue to build a talent pipeline that guarantees Illinois remains a leader in manufacturing for years to come. 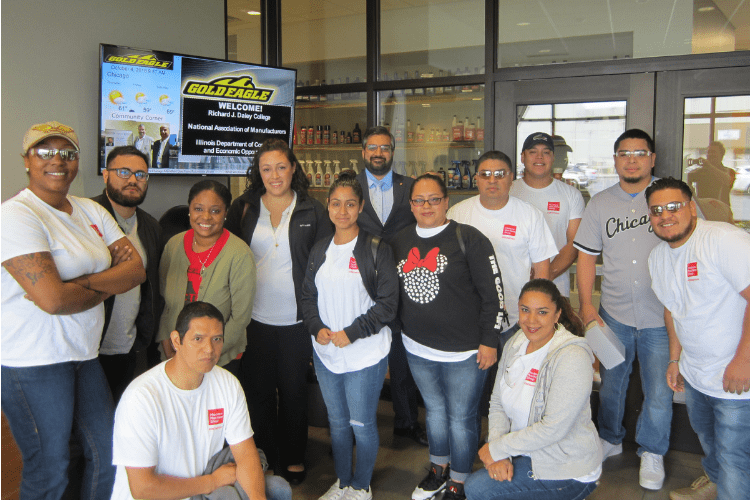 Gold Eagle thanks Richard J. Daley College, the National Association of Manufacturers and the Illinois Department of Commerce & Economic Opportunity for joining us to celebrate Manufacturing in the Land of Lincoln.